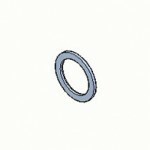 KF Flanges (Klien) are the standard din 28430 & ISO 2861 connections for vacuum fittings up to DN50 used in low & high vacuum. Along with the ancillary components they offer a simple solution for applications requiring easy and repeated assembly. Sealing is accomplished with a centering with a nitrile or viton o’ring squashed between a pair of KF Flanges and pulled together using a circumferental clamp. 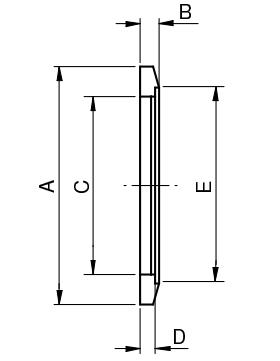 KF Bored flanges are used for welding onto tube to produce ports and connectors when manufacturing fabrications. Manufactured from: 304 Stainless Steel. 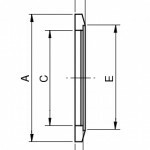 KF Bored flanges are supplied in a sealed plastic bag with a protective plastic cap. KF Bored flanges are manufactured to the ISO Standard and are compatible with other supplier’s product.